Antimony is a metalloid. The most important use of antimony is as a lead hardener in batteries. It is also used in ceramics, paints, enamels, flame-proofing, electronics, rubber, and a wide variety of alloys. China is the world's leading producer of Antimony, with over 80% of global production. Their largest mine is the Xikuangshan mine in Hunan Province. Lead-antimony alloys are used in ammunition, antifrictionbearings, cable sheaths, corrosion-resistant pumps and pipes,roof sheet solder, and tank lining. Antimony trioxide is usedto enhance the flame-retardant properties of plastics, rubber andtextiles, and other combustibles. Antimony is also used asa decolorizing and refining agent in the manufacture of someforms of glass, such as optical glass. In 2009, about 35% of the primary antimony used in theUnited States went into flame retardants; most of the restwas used by the ceramic, chemical, glass, and transportationindustries. Secondary antimony, which was derivedalmost entirely from recycled lead-acid batteries and containedin antimonial lead, was used in the manufacture of newbatteries. Lead-antimony alloys were used in ammunition, antifrictionbearings, cable sheaths, corrosion-resistant pumps and pipes,roof sheet solder, and tank lining. Antimony trioxide was usedto enhance the flame-retardant properties of plastics, rubber andtextiles, and other combustibles. Antimony was also used asa decolorizing and refi ning agent in the manufacture of someforms of glass, such as optical glass. Recycling: Traditionally, the bulk of secondary antimony has been recovered as antimonial lead, most of which was generated by and then consumed by the battery industry. Changing trends in that industry in recent years, however, have generally reduced the amount of secondary antimony produced; the trend to low-maintenance batteries has tilted the balance of consumption away from antimony and toward calcium as an additive. Import Sources (2006–09): Metal: China, 68%; Mexico, 14%; Peru, 8%; and other, 10%. Ore and concentrate: Bolivia, 59%; China, 28%; and other, 13%. Oxide: China, 53%; Mexico, 32%; Belgium, 8%; and other, 7%. Total: China, 56%; Mexico, 28%; Belgium, 7%; and other, 9%. Events, Trends, and Issues: In 2010, antimony production from domestic source materials was derived mostly from the recycling of lead-acid batteries. Recycling supplied only a minor portion of estimated domestic consumption, and the remainder came from imports. In recent years, the number of primary antimony smelters has been reduced, as smelters in New Jersey and Texas were closed in 2004. Only one domestic smelter in Montana continued to make antimony products. This domestic smelter, through its wholly owned Mexican subsidiary, received approval to build an ore-processing plant near its antimony-silver deposit in Mexico. The antimony materials produced there would provide feedstock for the Montana facility. Two actions caused production reductions in China, the world’s leading antimony producer. In March, the Government stated it would not approve any new projects for antimony before June 30, 2011; also in March, the Government shut down about 100 antimony smelters in China’s dominant antimony-producing region, an action aimed at closing illegal mines and curbing pollution.The price of antimony rose substantially during 2010. The price started the year at about $2.90 per pound and finished October at about $5.25 per pound. Industry observers attributed the strong price increase to production interruptions in China.Several new antimony mine projects were being developed in Australia, Canada, and Laos. 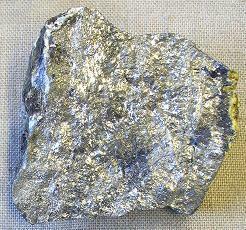 World Resources: U.S. resources of antimony are mainly in Alaska, Idaho, Montana, and Nevada. Principal identified world resources are in Bolivia, China, Mexico, Russia, and South Africa. Additional antimony resources may occur in Mississippi Valley-type lead deposits in the Eastern United States. Substitutes: Compounds of chromium, tin, titanium, zinc, and zirconium substitute for antimony chemicals in paint, pigments, and enamels. Combinations of cadmium, calcium, copper, selenium, strontium, sulfur, and tin can be used as substitutes for hardening lead. Selected organic compounds and hydrated aluminum oxide are widely accepted substitutes as flame retardants. American Elements - http://www.americanelements.com/sb.html - Antimony metal, antimony oxide, antimony sulfide, antimony iodide, potassium antimonyl tartrate, antimony polycrystalline ingots and chunks, antimony targets and shaped charges, antimony selenide polycrystalline ingots and chunks, antiomony selenide targets and shaped charges, antimony telluride polycrystalline ingots and chunks, and antimony telluride targets and shaped charges. China Antimony Chemicals Co., Ltd. - http://www.chinaantimony.com.cn/ - Specializing in the production of high quality antimony trioxide. Campine Group N.V. (EBR: CAM) - This Belgium-based company produces antimony oxides. United States Antimony Corporation (OTC: UAMY) - http://www.usantimony.com/ - produces and sells antimony products from its mine in the Burns Mining District, Sanders County, Montana. 2011-06-10 - (for) - Is tiny United States Antimony the next Molycorp? 2011-05-31 - (bw) - Continued smelters clampdowns force antimony prices boost according to Merchant Research & Consulting Ltd.